Three JCU students have been recognised as among the nation’s best in sugar cane technology research. 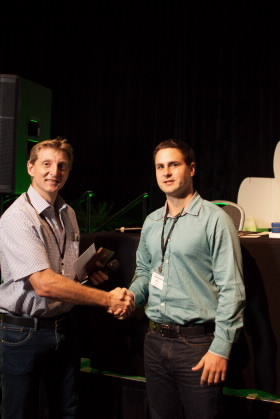 Earlier this month, the Australian Society of Sugar Cane Technologists (ASSCT) presented awards during the closing ceremony of its annual conference at Jupiter’s Hotel and Casino on the Gold Coast. Each year, the ASSCT awards bursaries in memory of people who have made a significant contribution to the sugar industry and ASSCT. 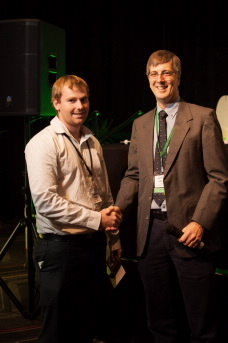 Jarrah May (pictured above), who completed his Chemical Engineering thesis at JCU, won the Norman Bennett Engineering Award for his research paper Bagasse dryer design using multi-scale compartment models. 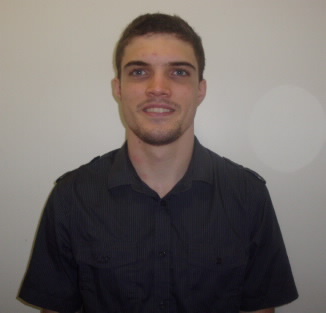 Mr May’s research focussed on using mathematical models to engineer a new process of benefit to the sugar industry. Originally from Townsville, but now based in Cairns, Mr May designed a dryer of bagasse fibre that will improve energy efficiency and air quality and increase economic returns from co-generation. Co-generation describes the process where sugar mills produce the fibre (waste) and burn/use it to produce energy. “Jarrah’s work aligned with sustainable engineering applications, which leads to improvements in energy efficiency, which leads to a more sustainable industry,” JCU senior lecturer Dr Madoc Sheehan said. Dr Sheehan led the team on this particular research, which included Mr May, Tayla Hickey and recent PhD graduate, Olukayode Ajayi. Mr May said his research could have long-term implications for the industry. “This research will hopefully serve as a stepping stone for the design and eventual installation of rotary dryers in sugar mills across Australia,” he said. Originally from Ingham, Wes Seri was part of a team that won the Rod Rookwood Design Award for the research paper Development of an alternate bagasse reclaimer chain. Mr Seri (pictured above), who now works for Wilmar Sugar, is a JCU Mechanical Engineering graduate. The judges said his research paper showed innovation and excellence in factory design of sugar industry equipment. James Wallace, a recent Chemical Engineering graduate who is also working for Wilmar Sugar, won the Denis Foster Chemistry/Chemical Engineering Award for his research paper Performance evaluation of a fixed element crystallizer. Mr Wallace’s research relates to improving the equipment that converts sugar juice to sugar crystals. Dr Sheehan said JCU graduates were prominent in the industry, and likewise, the sugar industry was a strong supporter of JCU’s graduate programs. “Graduates often work within the sugar industry, and while working, undertake research projects and publish their findings. Dr Sheehan said JCU produces outstanding graduates whose skills are well suited to supporting the tropical sugar industry. “Many people know that North Queensland is a sugar producing region but some may not know we are producing graduates that are emerging leaders in the industry. Dr Sheehan said new graduates were focused on three areas: engineering, tropical industries and sustainability. Photos attached. Recipients’ names are in the file name. With James is Dr Geoff Kent, President of Australian Society of Sugar Cane Technologist conference 2014. With Wes is an ASSCT Board executive. Head shot of Jarrah.